Neem is used in Ayurvedic and homeopathic medicine to treat conditions such as peptic ulcer disease and tooth decay. The oil is used as a pesticide and as an ingredient is cosmetics. According to the Natural Medicines Comprehensive Database, nimbolide in the neem seed oil acts to fight bacteria and malaria--an infectious disease transmitted by mosquitoes. However, there have been reports of neem poisoning. Consult a physician before using any naturopathic treatment. A 2008 report in Indian Pediatrics described the use of neem oil to treat colds by placing drops of neem oil in the nose. Researchers surmised that accidental ingestion of neem oil can occur this way. 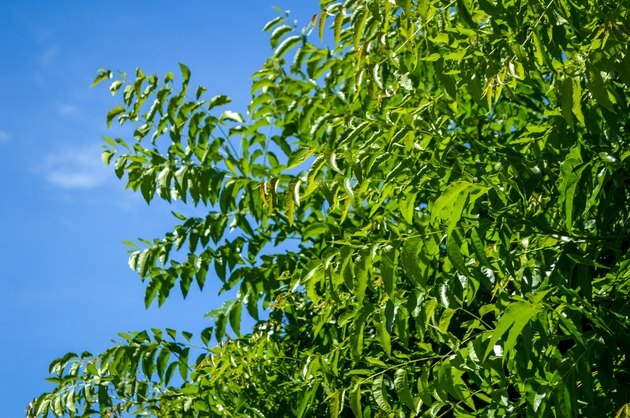 There have been neem poisoning cases in children involving seizures, coma and death. A five-year-old boy suffered severe seizures an hour after after swallowing neem oil which resulted in cardiac arrest. He survived with permanent speech, memory and motor deficits.The Natural Medicines Comprehensive Database does not consider neem to be safe for children. Researchers at the University of Singapore conducted a study of the effects of neem oil on mice for the Journal of Pathology in 1989. Neem oil induced fatty liver damage and brain swelling in a state similar to Reye's Syndrome--a disease associated with viral illness in children and teens. Vomiting, lethargy, and loose stools are also symptoms of Reye's Syndrome that can occur within minutes after ingesting neem oil. Exact toxic dose levels of neem oil are not known. According to the Natural Medicines Comprehensive Database, neem has contraceptive properties and causes miscarriage. A January 2009 study published in Einstein summarized the effects of neem oil on the ovaries of mice. The mice were given neem oil at low and high doses for six weeks. Examination of the ovaries of the mice found a decline in the number of mature eggs and a decrease in estrogen and progesterone.